To get started, look back. In the past two years, our fundraiser was slightly above the minimum result. The other time she stayed under it. That 2019 would change everything was difficult to predict. Because actually did not speak much for the success. The facts: have so far 243 247 readers donated. This puts us well beyond the involvement of 2017 and 2018. So far, more than 8.000 € have landed on the blog account, and there are still promised donations. Highest result, highest participation! 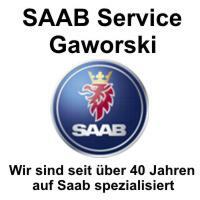 And while Saab on German roads is becoming invisible. How can that be? Behind the 245 donors hide 247 different stories. 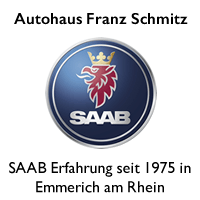 There are readers, for example, in the middle of their studies, who still allow themselves the pleasure of driving Saab and donating something for the authors. Or there is a Saab-inspired couple. That does not give each other anything for Christmas ... instead transfers 500,00 € to the blog. Just two examples of many, and all are impressive and moving. 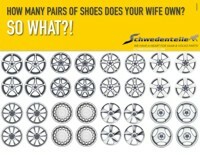 And maybe typical of Saab and the many stories that hide behind the brand. The best result so far! Why is this wave of support coming after about 8 years, and after we almost completed 2018 in the summer? It could be our time and the very fast changing circumstances. We are in the middle of an era. Digitization is nothing really new, in many areas of our lives it has been visible for years to those who want to see it. In the meantime, however, she is reaching the middle of society with unchecked force and changing everyday life. Digitization makes things more effective, but not always better. It delivers things that you do not really need and that you never asked. Or has a reader ever really missed an app for frozen bags? And in the last space of Western man, in the car, the digitization penetrates. Nobody can escape it, except through conscious renunciation. An analog car is, as long as you are allowed to drive it, an 4-wheeled reserve. Self-determined by the driver who still has the unrestricted sayings here. No computer pulls on the steering wheel, no digital voice reminds you to pause, no traffic sign monitoring gives annoying advice. Undeniably - the cohorts on assistance systems have their meaning. They save lives, make situations safer. But they also make us glassy people. With no secrets, no privacy and no way to escape. However, digitization is also cold. She does not warm the hearts. There is no saga behind her, no trolls, no Swedish drama and no small, ingenious stories. It does not work, it only works. The explanation for the great commitment to the blog may be very simple. Since 1947, Saab has been writing stories that we tell, and that the digital world can not offer. The blog is a small retreat. The alternative to the digital wave. Driving Saab is and has always been different. 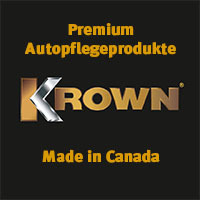 Turbo-charged, analog, sustainable, responsible with the resources of the planet promptly. 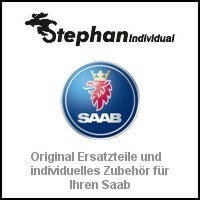 A contradiction will only be discovered by those who have never driven a Saab before. Everyone else will understand. In February there is the blog since 8 years. A long time, and we go to the 9. Year. It will not be easy for Mark and me to find new and good topics. The great result of the action is also psychology: it gives us a great boost and support! We would like to thank all readers who supported and financed us for this year. We will work hard not to disappoint expectations! 23 thoughts too "Blog donation 2019 - The result"
I am glad that the donation was so high this time! It seems many recognize the "value" of this blog and appreciate it! For me, the blog is a "constant" and a daily port of call in "my Saab world" - and of course I do not want to miss that! I also like my Saab straight and especially because he just is NOT so digitally overloaded (such as the newer German cars of my acquaintances). I want to drive a car or Saab (including NightPanel!) And not a "rolling tablet with a glowing giant display"! In this fast digital world, people just want to (or) take a break for a short time. Since offers the blog with interesting, emotional and exciting stories downright. The constant also has something pleasant ..., calms, delights the heart, gives security. 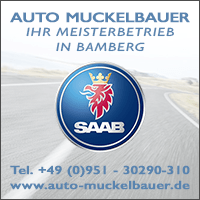 Quite SAAB just: the SAAB offers reassuring safety, the turbo pleases the heart. So it is when I see the current VW models, there is soooo much glossy in there, you can not chase after, not to mention the seats, the wide center console and the materials used. 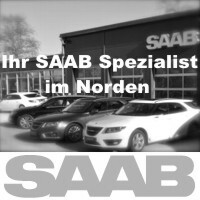 In the meantime, my dream SAAB has been lost :-(, stay connected to this blog (also donating 😉). Big thanks to the fantastic editorial team! So what. Go then. SAAB fans are the most fantastic community in the world! 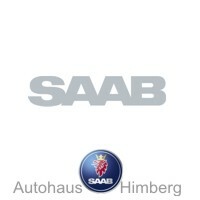 This Saab blog is still the actual remaining Life Line to the brand SAAB, where we all the loyal Saab driver as a survivalist but still very closely connected. Unfortunately, I have not been there lately, although I've been driving Saab continuously since 1970. 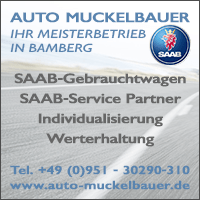 Saab is simply a constant value in today's unclear, unstable car world, where buying a new car carries great risks, as we still do not know where the drive technology will take us. So please keep it up, that keeps us in the (car) life! SAAB is not just a car, but a philosophy! Keep it up ! When the topics become less, it does not have to be a contribution every working day! Wow, what a result! I really would not have expected that, but the more beautiful it will have become this year. The trend line is pointing up! I'm looking forward to the new blog year, and I'm glad that the last anchor to the brand remains. Thank you for your effort and never-ending motivation to keep us entertained with exciting, interesting and very personal stories / reports etc.! A few months ago in Portugal I had a brand new French car hire with all sorts of helpers. To turn this off it took a good half an hour to find these points / settings in the countless submenus. Therefore, I enjoy it all the more to sit in my analog Saab's and just experience the driving! Also from me a thank you for what was and what comes! 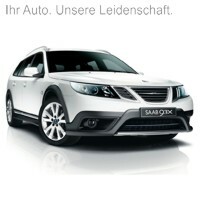 ..., if you want to know what the newer SAAB is and where are you right here! in the 9-5 is already a lot about the iPod control and phone control, with a large iPhone that is not bad. Very well written. I think that everyone is happy and it goes on thanks to the donations. That's a great result. 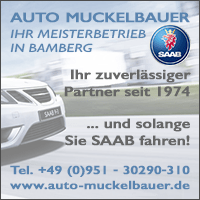 If you take into account that several Saab friends were involved in our donation from Thuringia, there are a few more additions to it. Even if not everyone admits, most of us are also interested in news from NEVS. Thank you Tom and Mark for the interesting contributions of the last days. Where else should we get that from? It turns out SAAB is not just a car. It is a passion, a view of things. 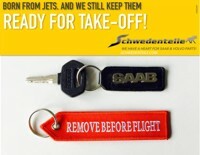 I would never have thought of that even before 5 years when I bought my first SAAB, not even when SAAB No. 2 was bought a year later. Now it's unreasonably four, but that's the way it is when things turn into a passion. thanks to the community. Such a feeling of solidarity and camaraderie I had last experienced in the military! I have now sold two of my Saab for economic reasons, but I'm still at five. It should remain for the time being. Greetings from the CH and always good trip! Great result and a nice recognition for the tireless authors. Thank you very much. 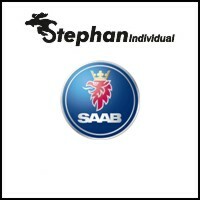 Saab is anything but ordinary and so is the Saabblog too. Please just keep doing this. And what am I happy to continue to move my analog Saab. I really can not do anything with these moving computers called cars. Incidentally, we still have a Suzuki SX4, also nice analog and as a second / third car absolutely recommended. Runs with us in the seventh year and without any disturbance. Thumbs up, I gave almost all contributions. They are so good about our feelings. Thanks Tom and Mark because here in Belgium there is a lot of interest in what you offer our "Saabtreuen" every meal again. I am very glad that it will be so experienced by all. Because we do not want to be guilty, if for some € uros the best blog of Europe is set. Nice compliment to the team. Thumbs up. For me it is a downer that 1.096 subscribers are "only" 245 donors. A new record indeed, but what about the final sum, if it had not been the multi-mentioned and generous donations single? In that respect, I really hope that the 245 was not the all-time high yet. For 2020, I can see that there is room for improvement. Also thank you for so many interesting, first-rate and heart-warming reports! Although I have been driving Saab continuously since 2003, I have only known the blog for nine months and owe it so much: extremely interesting technical, historical and social information, the feeling of not being alone in the hall with my beautiful Saab the contact with the friend in the far north, where in my convertible a new DAB + -Navi was installed in an excellent way (also optically perfect, it looks as if it had been in from the factory and also with DAB connection to the Outside antenna, not glued to the windscreen somewhere, as I had already seen elsewhere) and much more. By the way, I found the blog about the retrofit of a DAB-Navis on this internet research. Every day I am happy about the interesting reports and stories as well as the comments. 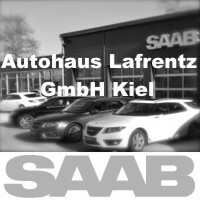 From all this I have already learned a lot of interesting and for me new and useful things about Saab and learned a lot. Before that, I just drove Saab and I enjoyed it - albeit since 2011 with a slightly wistful sad "on-feeling". The blog is a good antidote to this "loneliness" as a driver of one of those few, but all the more wonderful cars. I am probably one of the most recent readers, and unfortunately also a very late donor 🙁, but luckily I just found the button for it in the previous interim report and donated ten euros per month for my reading last year. Since I can read twelve months this year, it will be more for 2020! Please continue please! All the best for 2019 and 2020! The company Twintec / Baumot offers that from Euro 5 on, technically it should be possible sometime for Euro 4 diesel. 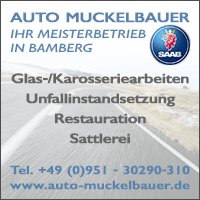 It would still be the question of whether this is offered for our engines and whether it is then actually allowed / (questionable because of the resistance of politics and the German automobile lobby, so that only their own interests and not the citizens and not the of environmental protection). Certainly not just for 9000 driver (my sympathy to the reader who was stolen in the fall of it) an interesting topic. For example, I am thinking of installing a hidden GPS tracking option in case of emergency. There are different systems. Auto Motor und Sport recently reported it (but I have not read yet). In addition, a very stupid question: Can the 9-3 II and III ern, although the ignition lock in the center console, but unfortunately no longer have the reverse-locking, the latter perhaps retrofit? Please do not laugh, if that should be a completely stupid question, I'm a total techno-doofie! 🙁 I found that in my 9-3 I convertible, which I had until 2007, always as a brilliant anti-theft device, but the successor models have unfortunately no more. Maybe this is an additional reason that the 9000er - compared to the other models of similar age - "so much" stolen, because they had exceptionally not the ignition in the center console and no reverse gear lock? "(...) I am a total techno-doofie! " I will not buy that from you. You convert your Cabrio around and after, you inform yourself everywhere about all sorts of things and you ask only questions that require a prior knowledge and a high interest.